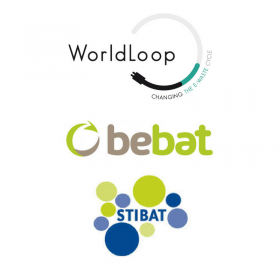 In 2017, WorldLoop will be working with Stibat (compliance organization for batteries in the Netherlands) and Bebat (compliance organization for batteries in Belgium) to build local capacity on the collection, storage, sorting and recycling of batteries coming from e-waste in East Africa. Many end of life electronic equipment contains different types of batteries and there is no good local recycling solution for them. With proper sorting, storage and recycling solutions, we can process these batteries safely and give the raw materials they contain a second life. Because transboundary movements of end-of-life batteries from Africa to Europe has never been done before, the project will be split in three components. The first component is the capacity building, which includes a training week in Kenya. The training will focus on battery sorting, storage and preparing the transport. The second track is the Transboundary movement (TBM) and recycling of end-of-life batteries in Europe. This will consist not only in shipping batteries to Sortbat – the sorting partner of the project – but also creating a manual based on the lessons learnt. Last but not least, the project will also include a component related to awareness raising, which will comprise the development of a social media campaign and a campaign for schools in Kenya, in order to improve collection volumes. We already got down to work, the kick off of the project took place on February 27th!